The cat is out of the bag, finally we know exactly how many self-published authors make it big: 40. Yes, that’s not a typo. 40 self-published authors “make money”, all the others, and they number in the hundreds of thousands, don’t. This interesting statistic, recently revealed in a New York Times article, applies to the Kindle Store, but since Amazon is in fact the largest digital publishing platform in the world, it is a safe bet that self-published authors are not doing much better anywhere else. “Making money” here means selling more than one million e-book copies in the last five years. Yes, 40 authors have managed that, and have even gone on to establishing their own publishing house, like Meredith Wild. Her story is fully reported in the New York Times, here, and well worth pondering over. And wondering what “making money” really means. That story reveals some further nuggets about the current fluctuating state of the publishing industry: it seems that last year, a third of the 100 best-selling Kindle books were self-published titles on average each week. Conversely, that means legacy publishers only raked in two-thirds. Perhaps this is not such a surprising result, given their habit of pricing e-books at stratospheric levels, from $12 to $16 or more compared to self-published authors who deem that $3 to $5 is the “right” price…One has to wonder why publishers do this, even at times pricing e-books more than their own printed versions of the title. Perhaps they are afraid of digital? The digital market is indeed scary, primarily because of its dimension: over 4 million titles today in the Kindle Store, compared with 600,000 six years ago (again, the data is from the same article). This means “book discovery” has become the number one problem. How can your book stand out in such a vast crowd? There are many answers in the industry (and savvy marketing certainly has big role), but some of the more ground-breaking solutions come from the successful self-published authors themselves, like Meredith Wild and a few others that have (more or less) followed her example, like Bella Andre, Barbara Freethy, H.M.Ward, C.J.Lyons. They have struck deals with Ingram Content Group, a major book printer and distributor, thus getting their novels in bookstores, big-box stores and airports. Because,let’s face it, when you’re selling big in the digital market, you don’t want to lose out in the printed one: 36% of book buyers still read only print books (according to a 2015 Codex Group survey – for more about how print books hold their own, see this article). And he foresees a growing divide in 2016 between the two markets. Yet the success of Meredith Wild and the other authors like her suggests that something else might be happening: self-publishing could be encroaching in a territory that used to be seen as exclusive to legacy publishers. Given that a single person earning less than $11,670 annually sits below the poverty line, 56% of respondents would qualify, if they relied solely on income from their writing. The survey also indicated that not only are many authors earning little, they are, since 2009, also earning less. Overall, the median writing-related income among respondents dropped from $10,500 in 2009 to $8,000 2014 in 2014, a decline of 24%. (highlight added). No, the art of writing is not dead, it is just undergoing a change of venue! NOTE: This was published over a year ago and has garnered more comments than any of my blog posts has ever done before and I warmly thank my commentators including those who didn’t agree with my reading of the data – no doubt this avalanche of comments is a testimony to the (high) number of writers (self-published and non) wondering where they stand and what they can expect from a writing career. Bottom line: if you enjoy writing, just do it and don’t worry whether it’s going to bring in the bacon or not. One thing is will do for sure: it will make you happy. And that’s worth far more than any money you might ever make…Happy writing! 2016: The Year of the Writer? There are signs that after the dramatic 2009 digital disruption that brought in the self-publishing tsunami, the publishing industry is stabilizing. 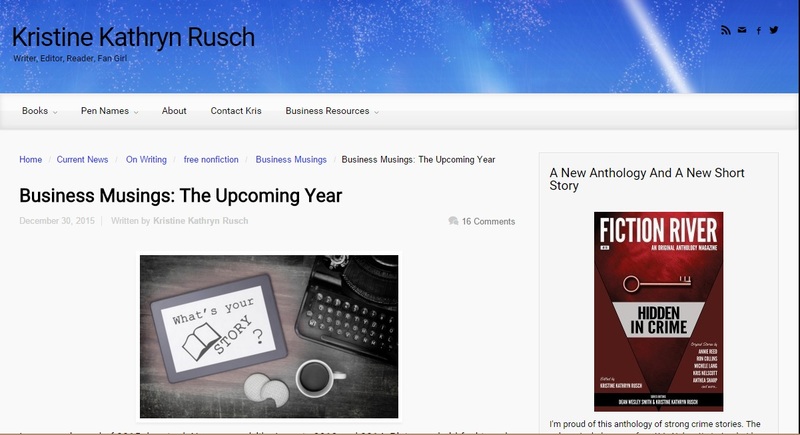 And Kristine Kathryn Rusch, a best-selling author and dispenser of cool, much sought-after advice has even decreed on her blog in a year-end post, that 2016, is going to be “The Year of the Writer”. If you’re destined to be a career writer, you’ll come back to it—or rather, it’ll come back to you. One day, a story will pop into your head, a story that needs to be told. I just got an e-mail from a long-time published writer who said that very thing. For the longest time, he thought he was done writing, and now he’s turning his attention to a new novel. So nice to hear I’m not the only one (and yes, now too I’m turning my attention to a new novel). You have to write your next book in the series – yes, it’s a series of course, the best way to keep your readers glued to your books – and you have to do it as fast as you can, you’ve heard that best-selling authors come out with a new book every three months (yikes, how do they manage that?) – even more exhausting, especially if coupled with (1) above. No surprise then that authors collapse. It does take courage to write what you want. To follow your own creativity and see where it will lead you. To walk down a path that doesn’t exist yet.So maybe I should modify my conclusion and call 2016 the Year of the Courageous Writer. Because we’ll be seeing a lot of courage in print this year. Ready to be courageous? Ready to do your own thing? Well, maybe not quite yet. Also, there are many ways to deal with burnout. For example, you could step sideways – move into non-fiction. That’s what I did: since 2014, I’ve moved into a lot of non-fiction writing (mostly articles about the United Nations) and working as Senior Editor for Impakter – and it’s been a wonderful experience, I’ve come across a lot of new, hugely talented young writers contributing exciting articles to Impakter. Impakter – The United Nations section, click here to see. Meanwhile the number of readers on Impakter has grown exponentially, to the extent that it has become a lead magazine for Millennials, even exceeding the New Yorker…That has made my experience with burnout as a fiction writer a lot easier to bear! But KK Rush does not stop there in her predictions. She has just published a fascinating analysis of what went wrong: “Business Musings: The Reactive Business Model“. What she is arguing is that traditional publishers, starting in the 1970’s, have been “reacting” to surprise best-sellers by imitating them. More and more indie writers will leave the business if their business plan is based on the Reactive Business Model.Traditional publishers have forgotten that they used to partner with writers. Writers created the material and publishers published it to the best of their abilities. Because traditional publishers are owned by large corporate entities, the pursuit of profit has become the mantra, and if an imprint isn’t profitable in the short term (five years or so), it gets absorbed, replaced, or dissolved. Indie writers don’t have to follow that model—and shouldn’t. They need to go back to the old model. Write what you want to write. Don’t think about marketing until the project—whatever it is—is done. Then consider how to market the project. Be creative in the marketing too. Don’t just imitate what was done before. “Don’t act like traditional publishers and manipulate your next book to be like someone else’s success. […] Move forward in your career. Don’t look back. Following the Reactive Business Model is by definition looking backwards. I would only add: don’t worry about marketing at all. I know, this may sound counter-intuitive in a time when book discovery has become incredibly difficult given the large number of available titles – more than 4 million in the Kindle store alone. The theory that the “cream rises to the top” and that the best books will be inevitably discovered has proved wrong time and again. A book, to be properly launched, needs strong marketing. A push. And of course, be ready to do it when the time comes but don’t overdo it, and especially not at the expense of your writing time. You can always do some more book promotion later, if and as needed. It may take longer for you to be recognized, but at least in this digital age, indie writers have an advantage over traditionally published authors of the past: their books don’t disappear from book stores after three months, digital versions stay in the cloud forever, they have a so-called “long tail” that is (eventually) working for them. This simple technical fact ensures that your books remain available on Amazon and other platforms as long as you, the author, don’t retire them. So hang on in there! A lot of people won’t go free with their books, they think it’s degrading. They’ve worked hard, sometimes for years (I know I have) and it just breaks you inside to give away the result of your sweat and tears for nothing. Plus we all know that anything not paid for is not taken into consideration. It hurts to give your baby away and it’s not even appreciated. A double whammy! 1. On Amazon, it helps to populate that screen “Other Customers Also Bought” with books similar to yours – and therefore, your own book is also on someone else’s book page and gets additional exposure. 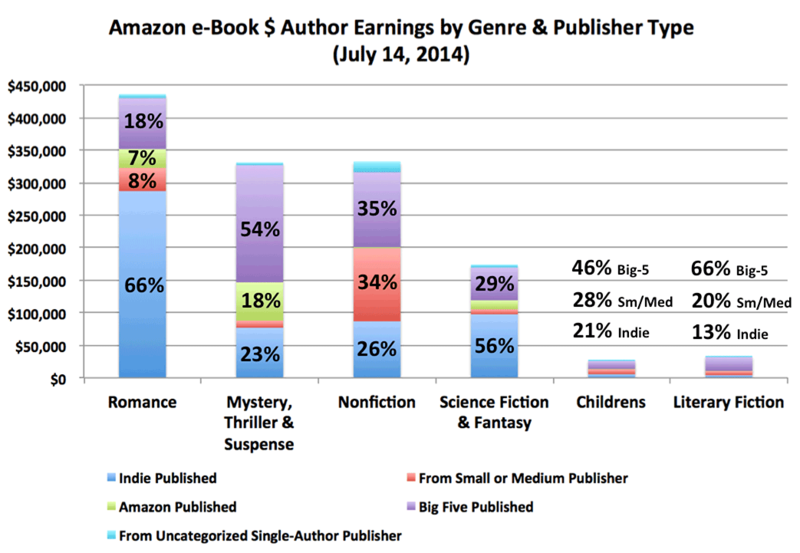 And for indies, Amazon matters, it’s the place where they sell most of their books. 2. If successful – but you need to have 10,000 downloads and over – it helps to draw attention to your book and earns you bragging points that you can use with an eventual publisher or a literary agent if you happen to be looking for one. 3. There may be possible ties between Book Promotions (0.99 cents and free) and reviews, jumpstarting a wave of reviews on your book. That can work into a huge breakthrough. More about that later. 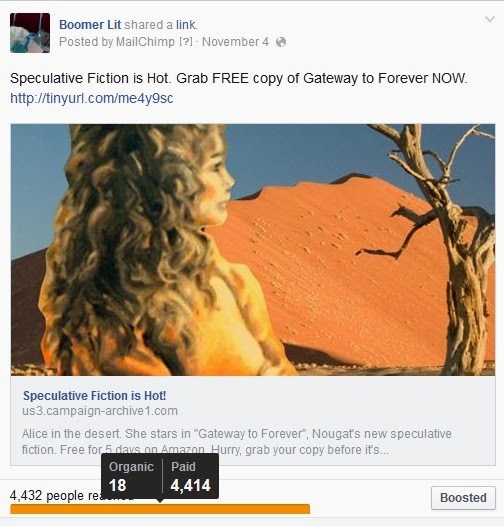 As those who follow me here know, I did my own free book campaign last week, for Gateway to Forever, from 4 to 8 November and I wanted to share with you how it went. Compared to 2 years ago, the campaign was a dismal failure: the number of downloads was 75% lower ! I’m not kidding, the number was one fourth of what is used to be. Conclusion? The market is obviously saturated, people have their e-readers bursting with books – so many that it is likely they will never get around to reading them. There is a silver lining: since fewer free books are downloaded now than in the past, it means that the people who add them in their e-readers actually mean to read them! The only thing I’ve done with my self-pubbed books to garner reviews is to run sales. 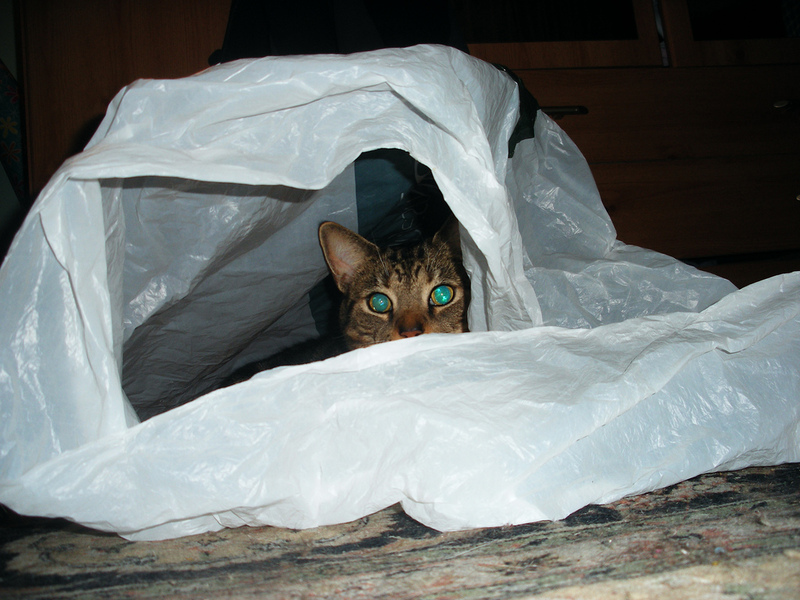 I didn’t advertise the sales in any way…not on my blog, newsletter, Twitter, Facebook…nothing. I just ran them. The free promos tend to garner more reviews than the $.99 promos. Pros with this approach are that your book finds its way into the hands of new readers. Many of these readers tend to write reviews (expect them usually a month or so following the sale). It’s free, unless you’re counting the cost of the lost sales (I like to think of that loss as a form of unofficial advertising). I put books out for free by making them free on Smashwords and then Amazon price matches. The only con with this is that you sometimes hook readers who don’t read your genre and, perhaps, don’t even like your genre. They will sometimes write reviews too. I think that most readers are savvy enough to realize that these types of reviewers simply don’t care for those types of books. Hi Claude–Free absolutely worked better a couple of years ago than it does now…no doubt about it. It usually takes about a month, I’ve noticed, although some speedy readers will leave them sooner. As with everything in this business (heaving a big sigh here) there is not enough data on what works so my analyses on what works have been purely observational. Here’s the evidence I’m working with (and I’ll use a recent example, since it’s freshest in my mind). 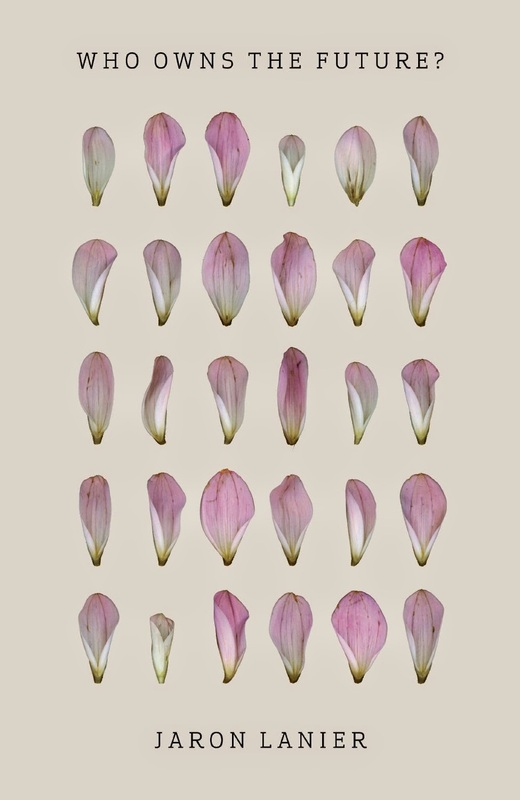 The book that has been free most frequently is Dyeing Shame and it’s at 617 reviews right now. 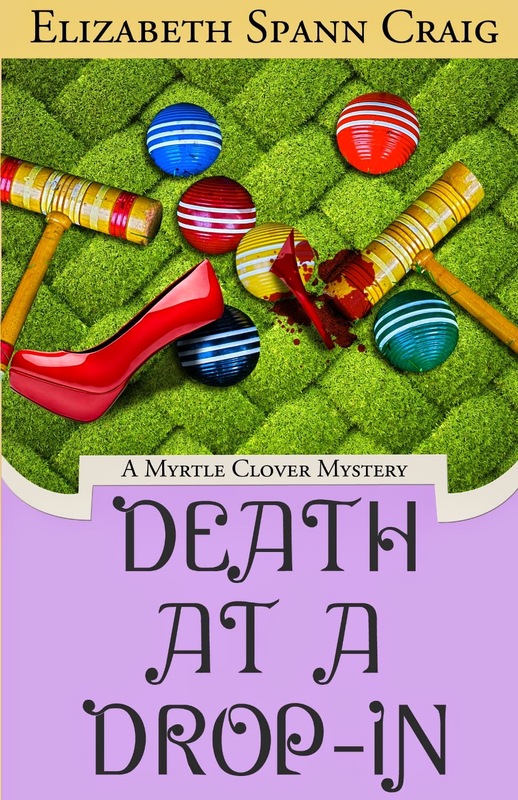 I’d “gone off” free mentally for a while last year (read a bunch of anti-free blog posts that influenced me) and I never put a 2013 release, “Death at a Drop-in,” out as free…it had only 54 reviews (which is pretty staggeringly low for that series). Realizing I needed to do something (it was selling poorly), I decided in mid-October to run a free promo on it. Now it has 27 more reviews (already…although I’m expecting more for later in November, since it does usually take about that long for folks to read and review). And…I’m realizing it’s still free. 😦 And I even put a reminder on my calendar…will have to go in now and change it. But getting it to 81 reviews is worth it. Please note something amazing here: She didn’t advertise her promotions in any way, either on Twitter, Facebook or on her (well-read) blog and I find this both extraordinary and…very wise! So I rushed to my Kindle Direct Publishing dashboard to check out whether the FB boost had had an effect on the number of downloads. I’m sorry to have to report, the impact was…Zilch! Nothing, zip, nada. If anything the number of downloads was way down that day, half of what it had been the day before. 2. “Soft” advertising works better. I believe that Goodreads works (marginally) better than Facebook. They allow you to set up an “event” to tell your “friends” on Goodreads that you have a promotion (see here). Of the over 900 friends I’ve got, 13 (!) answered yes. That’s not much of a response, but it’s better than nothing. Presumably a lot of people click on the Amazon link to the book without telling you that they did. As every marketing guru in the publishing business will tell you, what works best is the personal newsletter you send to all those who’ve signed up for it, and my experience seems to confirm it. Both the percentage opened and number of clicks was about double the industry average (around 40% opened the letter and 4% clicked through). And I’m sure a lot of my fellow writers do even better – please share your experience with us in the comments! 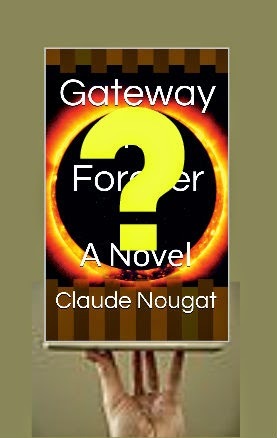 I’ve run two countdown deals for Gateway to Forever, one in the US and the other in the UK – alas, Amazon has not set it up for any other market – and I’ve noticed the results were (1) identical in te US and UK and (2) much lower on average than a free promotion, about half the number of downloads. 4. Free promotions work better than 99 cents. That is Elizabeth Spann Craig’s experience and it tends to be confirmed by my own experience with Countdown Deals (they are never free, they are simply daily discounts, starting from 99 cents and working your way up back to the original price). 5. The Best Days to go free are Monday and Tuesday. In fact, week-ends should be avoided, people tend to stay away from Internet, they go hiking, they do to discos or whetever. But on Saturday already my downloads were way down, about 20% of what they had been on the first day (which was a Tuesday). Hope this information helps you. And do share your experience, I’m eager to hear from fellow writers! Amazon and its 3.4 Million E-Books: the End of Culture? For a long while now, people have debated how many e-books Amazon carried it in its Kindle Store, because Amazon has never divulged the data. Some daringly ventured the figure of 1.5 million. Wrong! The real figure is close to 3.4 million and I found it by chance, as I was navigating Amazon’s website for Amazon Associates which provides links, banners and widgets you can upload to your blog to help advertise Amazon products. Look at what the red arrow points to: “Results from Amazon Kindle Store…3,376,174 “. Three days later that figure had grown by over 9,000 units and stood at 3,385,243, climbing ever closer to 3.4 million. This means that everyday over 3,000 titles are added, that’s over one million books per year – and probably growing at an exponential rate that I cannot calculate for the moment; I haven’t got the data though Amazon does (I wonder whether they are as scared as I am). Or to put it another way: It takes one hour to add 12 books, one new title every five minutes. You can bet that in 10 years time the number of titles in the Kindle Store could be anywhere between 20 and 40 million books. This is as many books as Google is said to have scanned globally, drawing from all the world’s libraries (the latest reported figure dates to last year and was 33 million books). Surprised? I’m not, not really. Internet guru Jaron Lanier, in his fascinating book “Who Owns the Future” suggests that we should eventually expect as many writers online as there are readers. If he’s right (and there’s not reason to believe him wrong), we still have some way to go. But it will surely happen, and probably sooner than you think. When that happens, what will the e-book market look like? Lanier reminds us that this is what happened to music already. Are books like music? Not quite, books are a more complete codification of ideas, they can play on emotions the way music does (for example, a romance novel or lines of poetry) but they also encapsulate ideas and ideology (from Hegel to Marx to contemporary thought gurus, like Lanier himself). So can we expect our culture to get crushed under the numbers? Again, Lanier tells us how he sees the future. Books will be increasingly linked to devices – think of how the rise of e-books was linked to the Kindle. When that happens, says Lanier: “some good books from otherwise obscure authors will come into being. These will usually come to light as part of the rapid-growth phase, or “free rise” of a new channel or device for delivering the book experience.” He doesn’t say it, but of course Amanda Hocking and John Locke‘s sudden rise to fame immediately comes to mind. They enjoyed a “heightened visibility” on the Kindle, as they were “uniquely available early on on that device.” And Lanier to conclude: “In this way, an interesting author with just the right timing will occasionally get a big boost from a tech transition”. Read the rest on Impakter, click here. Comments Off on To Publish AND Perish – Will the Tsunami of e-books Destroy our Culture? Look at what the red arrow points to: “Results from Amazon Kindle Store…3,376,174 results”. That’s how many ebooks are stocked in the Kindle Store as of now: 3.4 million. And by the time I had finished writing this blog post (one hour later) that number had climbed to…3,376,186! It took one hour to add 12 books, one new title every five minutes. In 24 hours, the number had climbed to 3,378,960, that’s 2786 more books – let’s say, 2,800 a day, that’s over one million books per year – and probably growing at an exponential rate that I cannot calculate for the moment; I haven’t got the data though Amazon does (I wonder whether they are as scared as I am). It’s also very instructive to look at the list of titles provided using the filter “new and popular” (the one I used – but there are other filters too depending on what you’re looking for) and you’ll see that Daniel Silva‘s “The Heist” (the 14th book in the Allon series) comes on top: it was published on 15 July 2014 and already got over 1,200 customer reviews. 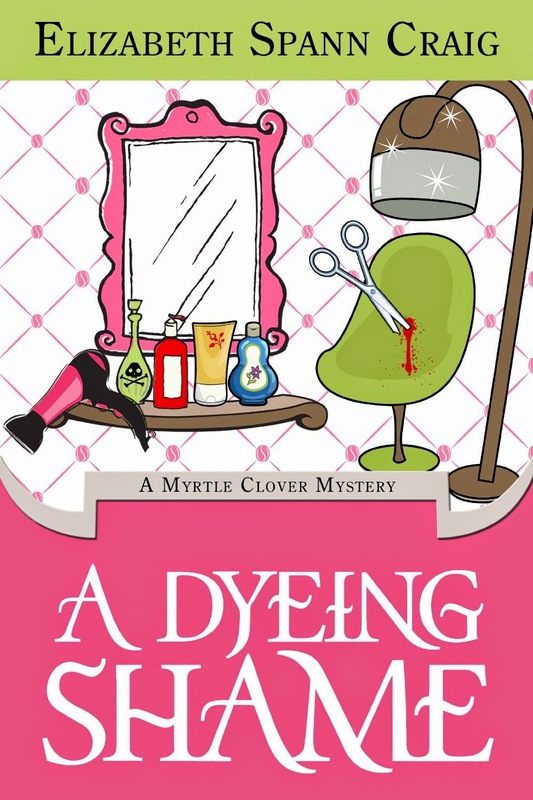 Not unsuprisingly it is is ranked #51 in “paid Kindle” and #1 in several subcategories including mystery and suspense. By the way, “The Heist” is published by one of the Big Five (Harper) and priced at an average $14 which is standard for traditionally published books. That price, high in relation to the average price for self-published books (which according to Smashwords is around $3.99), does not seem to have impeded its sales or ranking. This is not to say that traditional publishers can get away with any level of high prices – I would argue that a level beyond $14 is damaging and ensures that some excellent writers, like William T. Volmann, perhaps our times’ major “fabulist”, is not as widely read as he could be. His latest book, Last Stories and Other Stories, is priced at over $22, a price equivalent to the hardcover. That places him well beyond the reach of the average e-book reader, in practice excluding him from any exposure in the Kindle Store. Don’t be surprised if his book is sitting at #42,967 Paid in Kindle Store in spite of the boost it has received in the mainstream media, most recently the New York Times (see here). Indeed, if anything, books that are priced high and traditionally published seem to occupy the first ranks everywhere on Amazon. 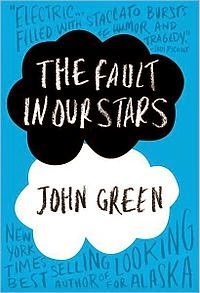 And I’m not referring to special cases like John Green’s best-selling “The Fault in our Stars” with over 29,000 customer reviews and a ranking in paid Kindle at #8 for books, although it is noteworthy that its ranking is not the same in the ebook market (it sits at # 3,810). Here I am looking at the Kindle Store only and what pops up in the ranks is often quite different from what emerges in printed books, and why it is so, is a story for another blog post. In any case, whether looking at the printed or ebook markets, you have to look hard for self-published authors though, undeniably, they are there…Hugh Howey with over 2,000 reviews for his Dust (book 3 of the WOOL trilogy) is sitting at #815 in “paid in Kindle Store”; Bella Andre’s Kiss Me Like This at #642 (it came out in June 2014 and has over 170 reviews); J.A. Konrath’s Whiskey Sour at #1615 (it came out in February 2013 and has nearly 1,200 reviews); Barry Eisler‘s Graveyard of Memories at #5,136 (it came out in February 2014 and already has over 600 reviews) – but Eisler’s book is published by an Amazon imprint, Thomas and Mercer, and he cannot be thought of as a self-published author stricto sensu, though he often sides with indies and famously walked away from a big publisher’s contract a few years ago. The conclusion? Self-published authors, even the most successful ones, aren’t doing badly of course, but they are certainly not doing as well in terms of exposure as traditionally published authors. Sometimes, a traditionally published author who finds herself retrograded to the “midlist”, with the publisher giving no signs of wishing to renew the contract, may have no choice but to self-publish to survive. This is what Eileen Goudge did and so elegantly explained in a blog post here on Jane Friedman‘s blog, enticingly titled “Self-publish or Perish” (hence the title for my own blog post here). However, we should remember that if the midlist author’s economic “survival” is ensured, it is largely thanks to the 70% royalty Amazon pays, because it is certainly not remarkable in terms of exposure – I won’t go further in the details and give you yet another ranking, you can check for yourself if you’re curious (here). Moreover, one must remember that all rankings are ephemeral, they change constantly, and one needs to be Amazon itself (or set up a 24 hour watch for months on end) to figure out which authors have “staying power” and which don’t. So all the rankings I’m quoting here are merely indicative. Still, some insights can be gleaned. It is particularly interesting to check on the more successful self-published authors and see how they fare today. I checked at random the more famous ones such as Amanda Hocking or John Locke whose amazing success stories (selling “a million copies” in a matter of months) have been instrumental in launching the self-publishing craze. Well, they are not doing as well today as you might expect. Amanda Hocking has two books going currently for free and her best selling book, My Blood Approves (now traditionally published by St Martin’s) is ranked #34,251 Paid in Kindle Store. John Locke’s Promise You Won’t Tell, with close to 1,200 reviews was going free the last time I checked and his best selling non-free book Casting Call (actually also the most recent, published in February 2014) is priced at $2.99 and ranked #11,195 in paid in Kindle Store. In other words, it’s doing reasonably well but breaking no records. 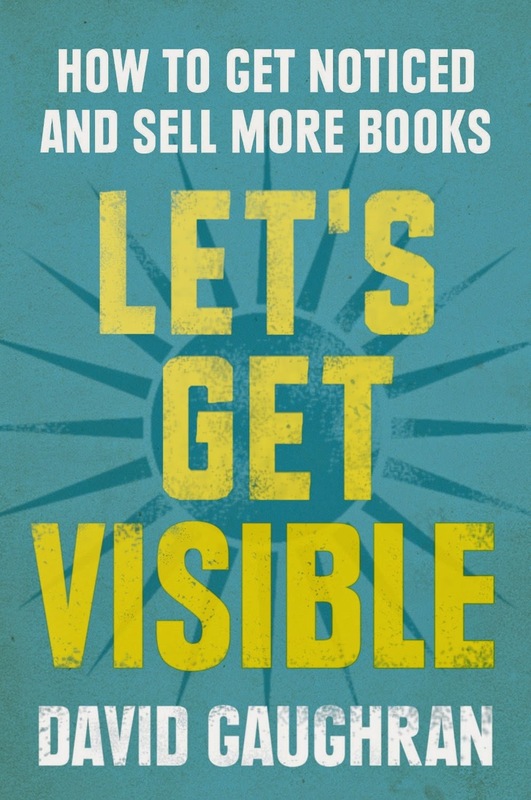 Why are such famous self-published authors with millions of copies sold – I would say even “iconic” writers – following the free promotion strategy exactly as propounded by self-published author David Gaughran in his excellent guidebook Let’s Get Visible? I’m sure you can come up with still more striking success stories, and please be sure to highlight them out in the comments, but my point is that the success doesn’t stay on…it waxes and wanes (which is natural) and then falls off a cliff, to use David Gaughran’s striking metaphor. Hence, the authors efforts to revive their books with free promotions. A tough life! Now if life is tough for the more successful self-published authors, try and imagine what it’s like for the rest of us? The reason why? Basically the tsunami of books that buries every single newcomer! No doubt this is another compelling reason why you should follow David Gaughran’s advice. And don’t get discouraged, Amazon has just handed out a candy to self-published authors, making it possible for them for the first time ever to access to the “pre-order” functionality on its website (is this a side-effect of the Hachette-Amazon spat? Who knows…) Regardless of Amazon’s reasons for doing this, it is a big gift, because it means that, just like a traditional publisher could do till now, you are able to promote your book on all the sites you navigate for 90 days prior to launching, while pre-orders accumulate on Amazon’s site: on the day of release, all these orders are filled at a single go, ensuring a boost to your book, launching it up Amazon’s rankings! Because, as David Gaughran points out, in this environment awash with books, you cannot ever stop marketing your titles – and now you have another tool at your disposal to launch your next book…use it! OK, Indies account for 31 percent. Fascinating but at the same time frightening: remember, we are dealing here with JUST 120,000 titles (so, out of those, some 40,000 titles are indies) But this is out of a total of how many books in the Kindle Store, 3 million? 4 million? I’d love to know. Assuming it’s somewhere between 3 and 4 million, that means less than 3% float to the surface and get bought, perhaps even as little as 2%. The other frightening aspect of this (otherwise brilliant) analysis is the focus on rankings. It really confirms that there are no quality gatekeepers on Amazon, number of sales rule the day! Sales beget sales, historical sales keep a book floating for several weeks, and when sales dip for too long, the book sinks out of sight. Sales numbers decide whether a book shows up or not in any reader’s searches. I perfectly understand the logic but I deeply regret it. It means that numbers trump quality. Readers navigating Amazon will keep seeing the same books over and over again. If you’ve got a book that doesn’t hit the #100 rank, there’s no hope for you. None whatsoever. Because it means you have no Internet presence, not enough fans to buy your books together at a given point in time so that the ranking is boosted up. Authors with fans acquired in a previous existence as a traditionally published “mid-list author” have an obvious head start in this rankings game, no question about it, and that head start is decisive. Good for them, but if you’re a newbie, never published before by a trad publisher, beware! Broadly speaking, literary fiction and children’s fiction don’t make the cut on Amazon, it would seem that both kids and persons who like literary reads need printed books from legacy publishers to be happy (I can’t say I’m surprised – that makes sense; ebooks are only good for quick reads when traveling or waiting at the dentist’s). Of course, all this data needs to be taken with a grain of salt (we know nothing of the rest of what’s on Amazon – from where exactly the other half of Amazon earning stems from, and of course, Amazon won’t tell). 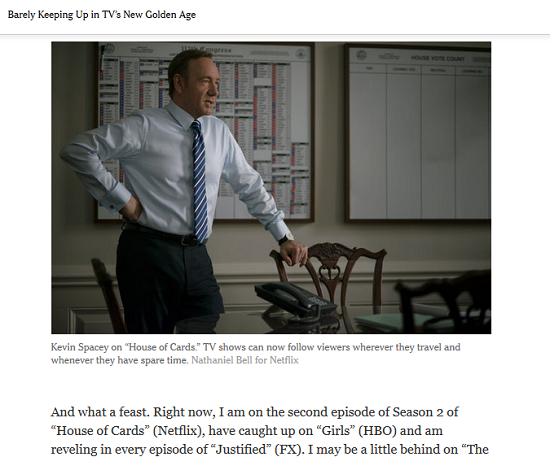 Still, I am shocked that the whole analysis hinges on only 120,000 titles…Your views? 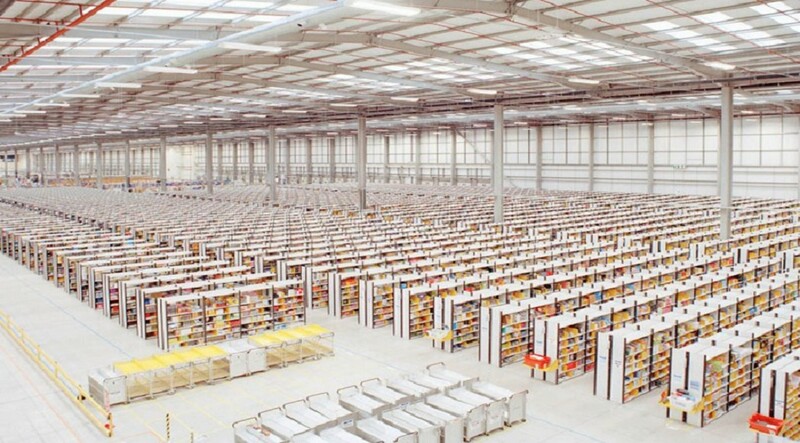 Comments Off on Digital Revolution Act Two: TheTrue Nature of Amazon Revealed? Lately a huge controversy has developed around the theme “Indies are Beating Traditional Publishers”, and one publishing guru, Mark Coker, the father of Smashwords, has loudly predicted that self-published authors will outrun traditional publishers by 2020, see here. Indie authors, carried forward by the digital revolution that has lowered production costs and leveled the field, are in a feisty revolt led by Hugh Howey; find all the rebels on his Author Earnings website here. This race between indies and publishers, no matter how exciting, obscures something much bigger: the sea change that is investing the entertainment industry as readers lose out to watchers. We’re into a brave new digital world where the written word is losing out to the image. Evidence of this vast change is still anecdotal, but putting all of it together, it adds up. Take ebook sales. After years of exuberant growth, ebook sales started to flatten out in 2013. I’ve blogged about this before (see here). At first, I thought it was nothing to worry about: a physiological slowdown that indicated the market had reached maturity, that it was better balanced between printed and digital books (good news for the publishing industry!). But now I’m convinced the situation is actually much more serious than that. It’s the book market’s very survival that is threatened. the performance of the tv and videogame industry suggests that more and more people watch films and play videogames and less and less people read books. The videogame industry is huge and has become as big as Hollywood. It is projected to grow from $67 billion in 2013 to $82 billion in 2017, a change happening largely at the expense of the movie and music industries (see this interesting article here explaining why this is happening). What a feast indeed! There’s no doubt that TV series, like House of Cards, Breaking Bad, Game of Thrones etc are entertaining and well worth watching. In our brave new digital world, the image is displacing the written word, it’s as simple as that. The ebook has proved to be a neat way to make the written word more accessible to people – on your mobile devices the written word can now follow you anywhere, in the waiting room at the dentist’s, on the plane, in the bathroom, in your bed. But the written word has to fight against films and music and videogames, a tough fight! As to the suggestion that Smashwords is a big success and therefore we shouldn’t have to worry (see article below), there’s no secret: the number of writers who decide to self-publish is increasing exponentially and Smashwords is the platform of choice for them – user-friendly and able to upload ebooks everywhere, from Apple‘s ibook store to Kobo to Barnes and Noble (though you still have to upload yourself on Amazon’s KDP). But please note: Smashwords’ success does not translate into increased sales for ebooks worldwide. The two aren’t related. Don’t get me wrong. The flattening of ebook sales is not for tomorrow morning, there are still big markets to conquer, in particular India, the country that reads the most in the world, see the reading data here. I’m talking about a long-term trend, that is affecting the written word in all its forms, including blogging. It is now well known that blogs based on the written word alone have much less traffic than those lavishly using videos and photos (see tips #9 and #25 in this comprehensive how-to article for bloggers, click here). Images win out every time! The handwriting is on the (digital) wall. This is the end of an era that opened with Cervantes’ Don Quixotte in 1605, the first great novel of modern times, and was propelled by Shakespeare, Molière, Voltaire, Dickens, Goethe, Tolstoy, Tolkien and so many fabulous writers over the next four centuries. How this new video trend can ever be reversed, I have no idea. Amazon’s Latest Gimmick, the Book Countdown Deal: Does it Work? The idea of a book countdown is fun: set the price at the lowest level allowed on Amazon, 99 cents, and watch it rise each day by one dollar – until it’s back to the original price. There is an element of game betting: you, as the customer, have to beat the clock in order to win. I recently tried it for my book “Luna Rising, the Full Saga“, as those of you who receive my newsletter know. I thought that no matter what happened, it wouldn’t hurt. This was a book that I had just published at the beginning of the year, a re-edition of an earlier novel (totally re-written and with a new cover), and it was sitting dead in digital dust. It obviously needed some kind of boost. 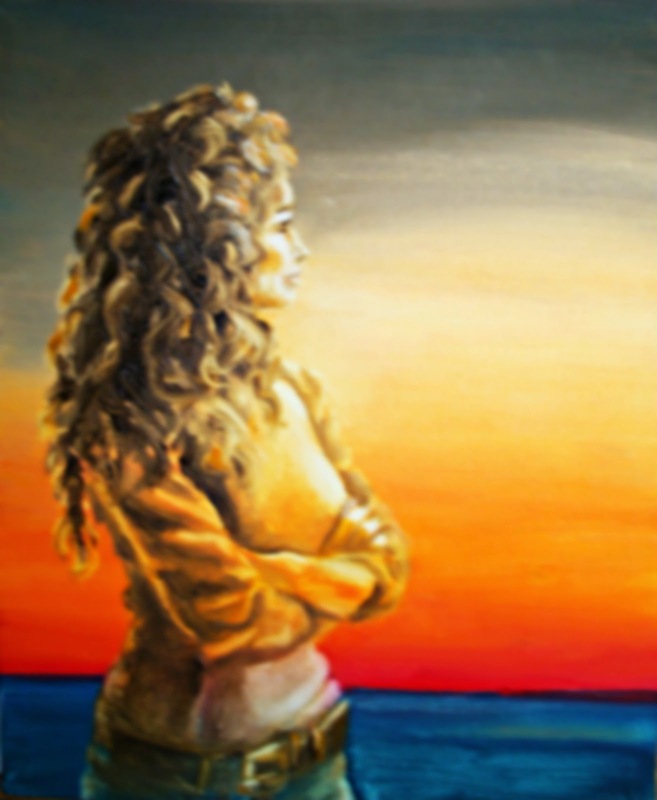 Wow, it ranked number 55 in the top 100 fiction ebooks in the category…”Metaphysical”! But wait a minute, what on earth is “metaphysical fiction” and who would ever want to read it?? In a way, “metaphysical” made sense, and I learned right there something about what might sell my book. That’s useful, considering it is undoubtedly a hard sell even though it is perhaps one of my best books, mainly because it is “cross genre”. It starts out as a paranormal romance and ends as a techno-thriller (!). Make sure you plan your marketing around it ahead of time. I didn’t do a very good job of it, I only put my book up on three sites paying for the ad and as far as I can see, those ads didn’t drive any sales. The sales I got seemed to have been triggered by my newsletter; however, this was the first time I used it (if you’re interested in receiving it, the sign-up form is on this page, upper right corner – no spam, only information about upcoming deals and events like a new book release). In spite of this, 46.4% almost half the subscribers opened the letter and 3.6% clicked through to the title. Compared to an industry average of a 17.7 % and 2.5% respectively, I suppose I should feel satisfied (though I suspect that writers, once they’ve got a properly running newsletter, manage to get much higher click rates from their fans than I did, I’m still too new at this). Don’t forget to tick the UK box otherwise it will run only in the United States. This is very annoying, I didn’t see that box, and all my efforts went to nought in the UK. I thought I could start again the following week with another promotion just for my British friends but that is not the case: only one promotion is allowed every three months and I’ve used up my chance for this 3-month period! Be aware that you won’t see what it looks like on your book detail page if you live outside the US or the UK (like I do). You can only follow what happens from your KDP dashboard and of course the (hourly) change in ranking on your book detail page. I contacted Amazon and they told me how I could look at it, by logging out of my account, and re-entering from “outside”, scrolling down to the very bottom of the page to find the Amazon US market box and click on it. Sounds easy but…At the bottom of the page you see all the Amazon markets across the world except the US! The biggest unknown in the Countdown Deal is the fallout: what effect it has on follow-up sales and on your other titles once it’s over. I suspect the fallout may be quite large for established writers with lots of fans online; in my case it was limited. Especially if you compare it to the free promotions I did two year ago that triggered thousands of downloads. This was very different.The sales were disappointing and didn’t continue beyond a few days. Also there was no effect on my other titles. One unexpected result: it stimulated the sales of the printed version (no doubt why it turns up as #99 in books, see screen shot). What’s interesting about that is that the printed version of the book was not under promotion. the advantage of a Countdown Deal is that it draws attention to the book, regardless of price. It’s probably not so much the limited discount that works as the novelty of the formula and the “game” aspect. There is little doubt that promotions centered on giving out free books (or low priced books) no longer work: we’ve all got our e-readers overflowing with free books. Clearly something else is needed to give a boost to sales. In that respect the Countdown Deal helps. Pity it is restricted to the US and UK markets! This is a serious limitation. When will Amazon extend it to other markets where it is present? I have readers in Australia (and other places) who contacted me because they were really annoyed at being cut out. What is your experience with this new marketing instrument? Did you try it? Please share, I’d love to know how it went for you. Comments Off on Amazon’s Latest Gimmick, the Book Countdown Deal: Does it Work? Reviews sell books, right? But the problem is to get them. Ads are easy, you pay for them but they tend to be ignored unless you tie them to a promotion, making your book free or at 99 cents for a short period. The grand-daddy of book promoters is of course BookBub, recently joined by EBookBargainUK and EbookSoda, all excellent sites if you want that kind of promotion. But how about tying your efforts to garner reviews with free book promotions? Story Cartel has the answer, to check it out, see here. I thought I’d test it out. I recently joined and here’s how my book looks on the Story Cartel site: free digital copies are distributed in exchange for honest reviews, though no one is required to post a review. Looks nice, doesn’t it? It’s sitting there together with related books and a notice clearly indicating how long the offer lasts (at the time of this writing, 17 more days). To see it on the Story Cartel site, click the image. 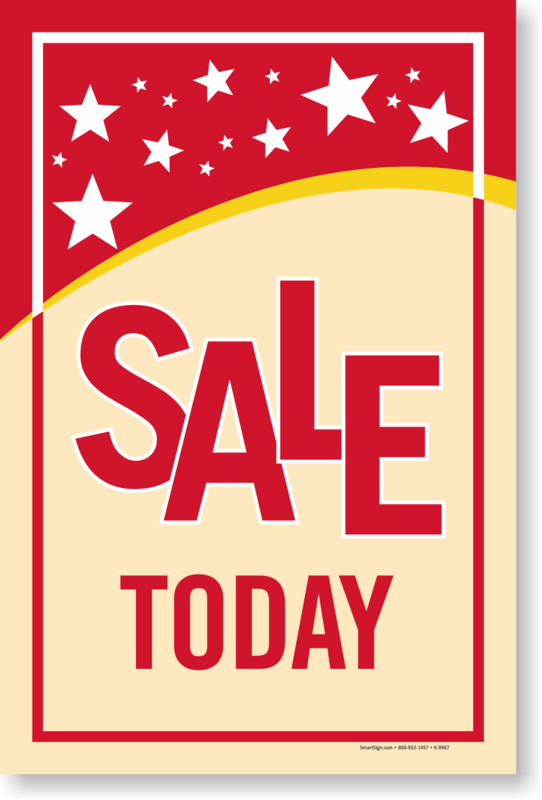 Actually offers on Story Cartel are meant to last 20 days (I already lost 3 days in telling you about it!). And when the promotion is over, Story Cartel organizes a sweepstake among reviewers and the winners get a free printed copy that I have agreed to provide, in total 5 print copies (offer limited to the US). So if you enter, you can even get a free print copy delivered to your home! I don’t know how well such a promotion works – I shall let you know asap. If anyone has used it, please leave a comment about your experience! Is Amazon Supremacy in eBooks Threatened? 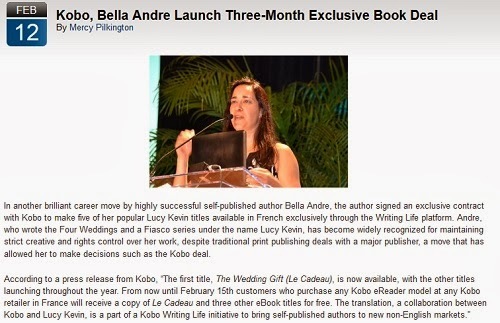 Wow, super star Bella Andre has given full confidence to, no…Not Amazon Kindle Select but Kobo! For me, this is surprising news. I’ve always thought of Amazon as the giant e-retailer whose supremacy could not be threatened – not yet and not for a long time. I guess I was wrong. What we have here is a David vs. Goliath fight, who will win? Right so. Are you linking to other places than Amazon? I know I’m guilty of relying on Amazon up to 90%, and in some cases 100%. Post-scriptum: I was wondering why Bella Andre might have signed up that exclusive with Kobo and a little check on the Net turned up some very interesting facts (see here, an illuminating Jeremy Greenfield article in Forbes.com dated August 2013). 1. establish a physical on-the-ground presence (it has just signed up with 500 American booksellers and it is certainly present in bookstores here where I live, Italy). 2. focus on readers and e-readers – the reader experience is at the heart of their ethos, or so they say, whereas, as we all know, Amazon sells all sorts of things besides books. Whatever…Kobo must be doing something right! I have no doubts that in France a lot of people read books on Kobo devices – no question, that is probably the bet Bella Andre made when she signed up with them. 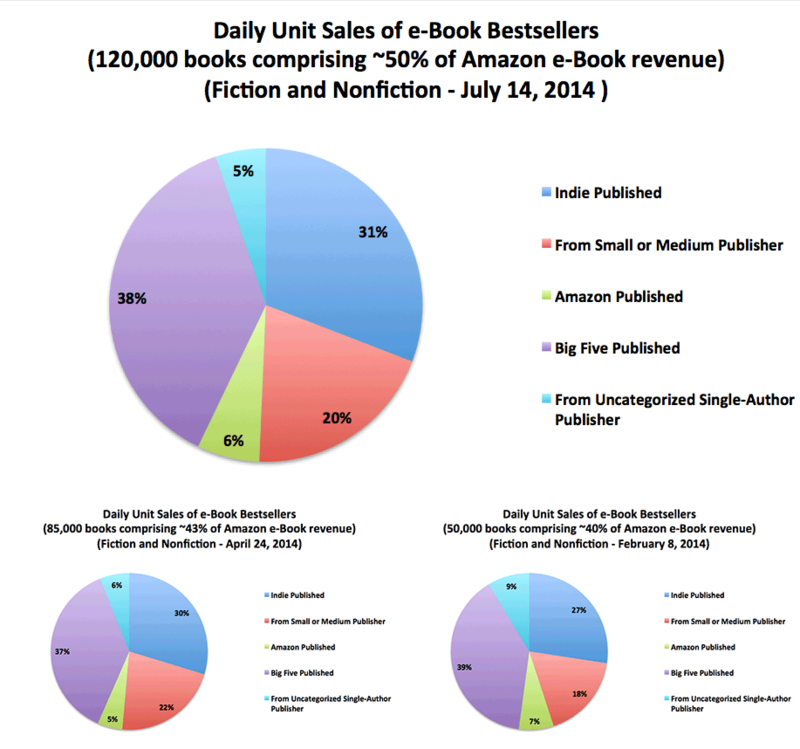 Is the Amazon Ebook Market Model Broken?